Bitcoin has seen its value rise rapidly over recent months, and has now breached the $10,000 mark and the $11,000 mark in quick succession. The spike means a $100 purchase of the crypto-currency in 2010 would now be worth $16m. But while some people are very happy and very rich as a result of the increasing value, others have warned it’s a bubble that will inevitably burst. 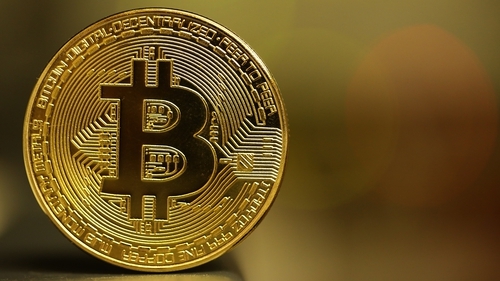 Bitcoin is considered the first widely-known and arguably successful digital or crypto-currency: a currency held and traded online and not a physical currency; there are no Bitcoin notes or coins. It exists only on computers in electronic form. It was introduced in January 2009 by a person or group whose identity has never been truly identified, other than they go by the online name Satoshi Nakamoto. Bitcoins are created by a process known as mining, which involves people using powerful computers to solve complex mathematical problems to release the virtual currency. This is the reward for those involved in mining. But the network of miners is also central to the processing of Bitcoin transactions. So by trying to unlock new Bitcoin, the miners are in effect keeping the whole process running. Mining is designed to slowly add more and more Bitcoins into the market. Because it is based on a defined set of mathematical rules, only 21 million Bitcoins can ever be created by miners. Bitcoin is not a centralised currency, which means no one person or institution controls it. This is seen by different people as a pro and a con. On the one hand it means it isn’t regulated in the traditional sense so it offers no traditional protections. But on the other, it means Bitcoin isn’t subject to the same manipulation, censorship or even corruption that other long-established physical currencies can be. Instead of being centralised, every single Bitcoin transaction is recorded on a constantly updated online ledger of interdependent transactions known as a blockchain that can be viewed by anyone who is using the crypto-currency. The blockchain is distributed, so even if one part is offline for some reason, the system continues to operate. It also runs on a peer-to-peer basis, meaning you don’t need to go through a third party in order to use Bitcoin. The use of a blockchain means that while on the one hand all transactions are visible, on the other it is very difficult to tell who is behind each of the transactions as the recipient addresses don’t carry names or other real world identifiers. This is one reason why Bitcoin has earned a reputation as a tool used by criminals. It is also considered to be very secure because it is difficult to tamper with the blockchain. How do people buy and sell it? You can acquire a Bitcoin (we’re not necessarily recommending you do or don’t!) either through mining, buying one or being given one in exchange for something. Mining is much the hardest way of getting them because it requires huge super-computing power. Indeed many professional miners have set up enormous data farms around the world for just this purpose. But because it is a currency and increasingly a commodity, Bitcoin is widely traded. So a much easier way of getting Bitcoin is by buying it using traditional money through a broker who deals in the digital currency, and there are plenty of those all over the world. The market is driven by the same supply and demand principles as other currencies, although like other currencies other factors can impact on it too. And when you do get one, you keep it in a digital wallet which is a piece of software that runs on your computer. Once you have Bitcoin in your wallet, you can use it to buy goods and services from people and organisations that accept the crypto-currency. The number of uses for Bitcoin is growing all the time. Of course the often quoted example is the use by criminals to buy and sell illicit goods on underground platforms like the Darknet. But Bitcoin is also accepted for much more everyday mainstream uses too. Although big online retailers like Amazon still haven’t adopted it, other significant firms like Microsoft and Expedia accept payments using the currency. Many smaller online companies also allow their customers to pay using Bitcoin. And in the real world, a growing number of restaurants, shops, bed and breakfasts, including here in Ireland, are starting to embrace the technology. What’s driving this rally or bubble, depending on how you see it? Over its short history, Bitcoin value has proven to be exceptionally erratic. This year alone the value has risen around 1,000%. But the currency is also prone to quick and nasty falls, with five 80% corrections over the course of its life so far. This, amongst other reasons, is why some critics have labelled Bitcoin a Ponzi scheme and see this as a bubble. The chief executive of JP Morgan Chase and Co, Jamie Dimon, called the currency a fraud earlier this year and said he would sack any of his staff if he caught them trading it. Because supply and demand are the main drivers of its value and the number of Bitcoins is capped, then there will always be an upward pressure on price once demand for Bitcoin is positive. This, coupled with the fact that those in the mainstream financial world are beginning to accept that digital currencies are here to stay, and that many investors see Bitcoin as an asset rather than a currency, is driving the value up. The professionalisation of trading platforms leading to easier access to the market is also causing demand to rise and also making Bitcoin appear more mainstream. And then there is the media hype factor, which helps make it all become a self-fulfilling prophecy. So should we be concerned by this situation? This depends on who you ask and whether you own any. Supporters of the currency say the milestone breach of the $10,000 and then $11,000 value mark is simply just Bitcoin finally starting to realise its locked-in inherent potential. Others say this is a clear bubble, which at best will result in investors getting badly burned and in a worst case scenario could destabilise the traditional markets, which have been enjoying a good run lately. This possibility is, however, lessened by the fact that all the Bitcoin in existence is still only worth under $200 billion. While this is bigger than many Fortune 500 companies, it is a tiny fraction of what’s traded on traditional markets. But when people like Nobel Prize winner Joseph Stiglitz say it ought to be outlawed you have to take the warnings around Bitcoin seriously. Certain governments around the world, including China, have banned trading in all crypto-currencies on exchanges while Russia has blocked access to such websites. Then there are the wider implications of all this, which are that others are jumping on the bandwagon. So-called "initial coin offerings" have been springing up all over the world, inviting people to buy into new crypto-currencies. Earlier this month, the European Securities and Markets Authority warned that the "very risky and highly speculative" nature of these offerings mean investors ran a "high risk of losing all of their invested capital." But does all this mean we are going to see more Bitcoin and crypto-currency trading platforms in the future? Undoubtedly yes. Recently the Chicago Mercantile Exchange (CME) group, which is the world's leading derivatives marketplace, said it is to launch futures contracts on Bitcoin by the end of this year. The world's largest bitcoin wallet provider, San Francisco-based Coinbase, signed up 300,000 new users between last Wednesday and Sunday, during the US Thanksgiving holiday and now has more than 13 million customers. On Wall Street there are now 100 hedge funds dedicated to digital currencies. And other prominent digital currencies like Ethereum for example are also growing in value. But the increased interest in Bitcoin is not just confined to the crypto-currency. Many well-established main stream organisations, inside and outside the financial sphere, are putting the blockchain concept to work in a whole range of other areas, pouring money into exploring its use in everything from property sales to health records and auditing to legal contracts. And many experts argue investment in this aspect of the technology that underlies Bitcoin would be a far safer and more lucrative long-term bet.